The dining room is big and formal. 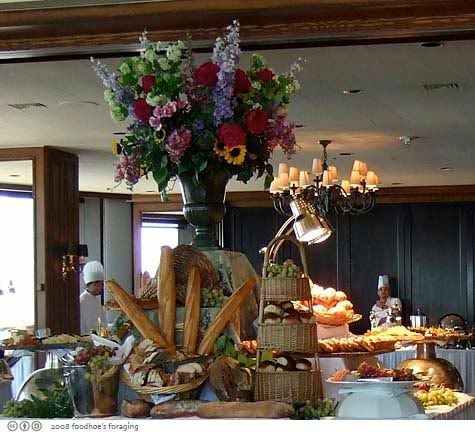 In the center is a beautiful display of breads, buns, rolls, muffins, pastries and cookies, fresh fruit plates placed artfully throughout along with a variety of cheese platters. It was laden with stuff, each time I passed it, something else caught my eye. Near this was a duo playing Tuck and Patti/Windham Hill style guitar and vocals. They were very good, but we were a little too close to the speakers. 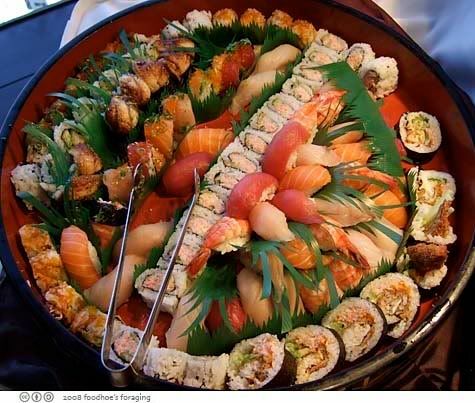 The sushi platter was an assortment of favorites including salmon, maguro, unagi and hamachi nigiri along with California rolls and tempura rolls. Everything looked really fresh. Under the white linen napkin was an assortment of steaming dimsum including pork siu mai (with the grated carrot on top, not fish roe), shrimp dumplings (har gow) and potstickers. They had every possible condiment: wasabi, hot mustard, chili sauce, soy sauce and vinegar. 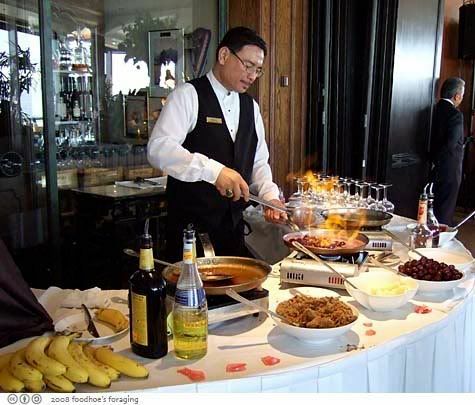 Further down were a variety of hot food stations, here is the omelette station where you can pick out the various items you want included in your omelette. 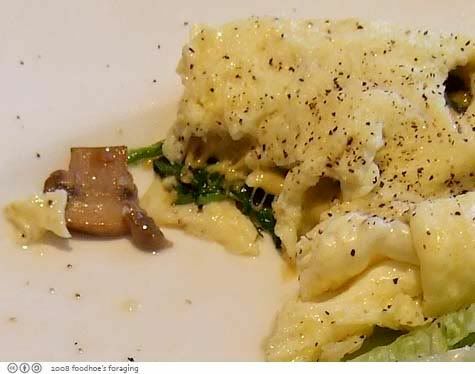 Mr. K had the chef whip up a spinach, mushroom and cheese omelette that he thought was the best he ever had… Everything was cooked perfectly and with a light touch, so the eggs were fluffy and tender. 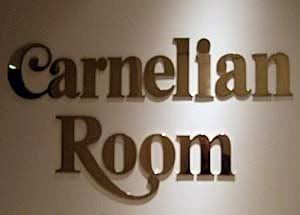 As far as I’m concerned, they have the perfect salad bar – one section includes antipasto with slices of salami, sopresseta and spicy pepperoni, cheese, olives, roasted peppers and marinated artichoke hearts. 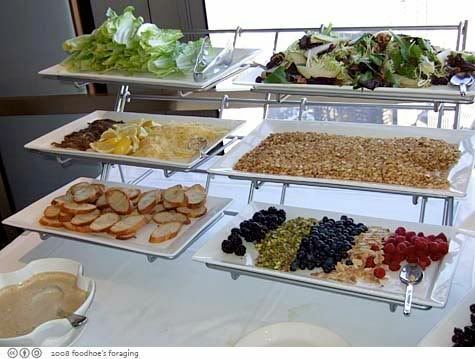 And next to that was a simple salad bar that offered a small but excellent selection of items including romaine hearts and a mix of spring lettuces, then a spread of anchovy, lemon and shaved parmesan to make a nice Caesar, or toasted pine nuts or croutons and a variety of nuts and fruits for those who like the addition of…. 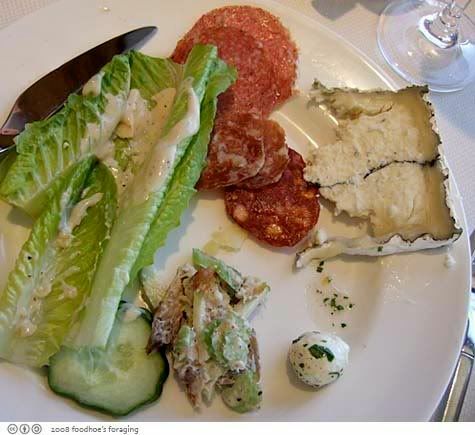 My first plate was a hodge podge of salad, cheese and sliced salumi. 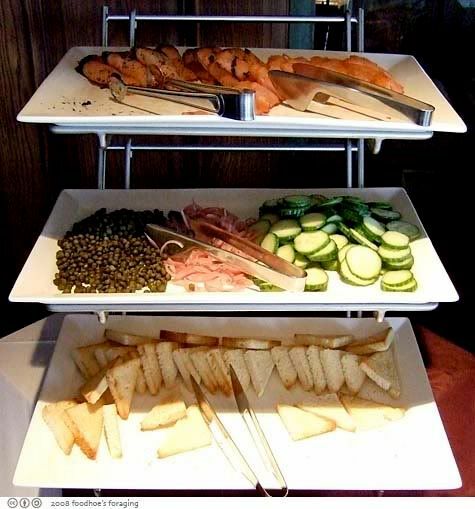 And next to that was a smoked salmon station with two types of salmon, capers, pickled onion, thinly sliced cucumber and toast points. 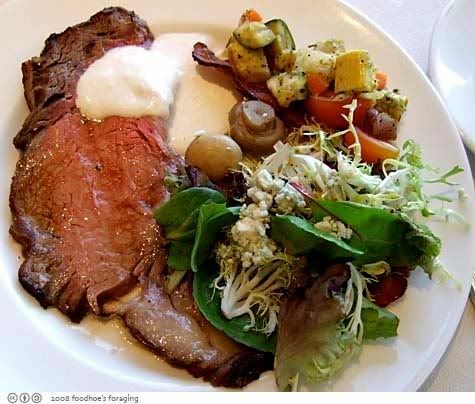 I couldn’t resist and tried the prime rib which was juicy and very good, they had a creamy horseradish sauce and aujus on the side. Can you tell I’m being a protein star? 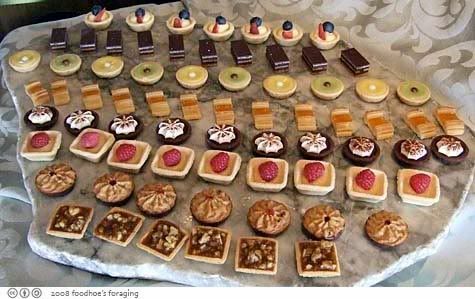 Now I will briefly point out that there was a large selection of sweets, including Banana Cake with thick layers of cream cheese frosting, Chocolate torte, pumpkin cheesecake, white cake with fluffy frosting and fresh strawberry slices. 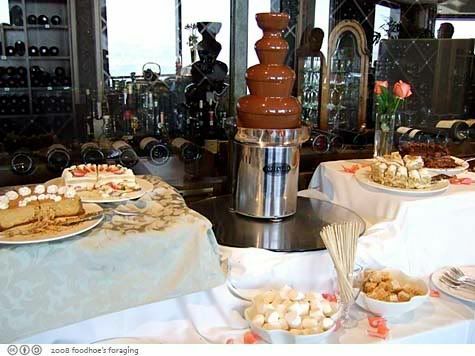 And this fantastic Chocolate fountain with a cascades of melted chocolate to dip in small squares of rice krispy treats, marshmallows or fresh fruit… you could dip cake, prime rib, shrimp or petit four if it pleases you! And so we ate until we could eat no more… This epic feasting does cost a pretty penny at $59 a person, but I was feeling no pain after several glasses of sparkling wine and my wallet was buoyed with the $100 gift certificate from my fine friend and frequent dining partner JT who just loves this place and generously likes to spread this love to her friends. Afterwards we walked through Chinatown in search of oolong tea in order that all of that grease and fat be removed from our bodies. This is an old wives tale I know, but it was fun anyways to squeeze through the mobs and look at all the strange and interesting shops and markets. 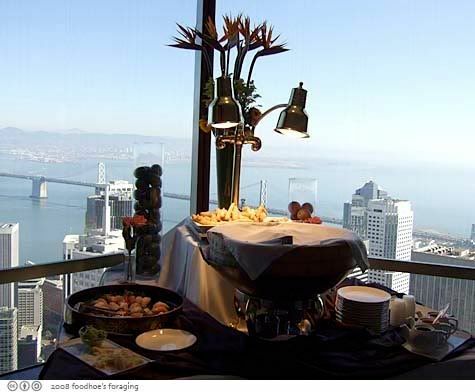 That view is stunning and the food looks damn good! 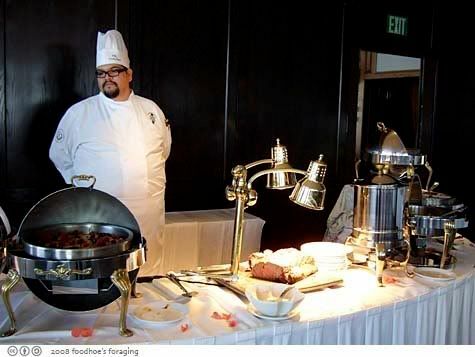 Wow, it’s been a long time since I’ve gone to a buffet brunch, but that looks exciting. 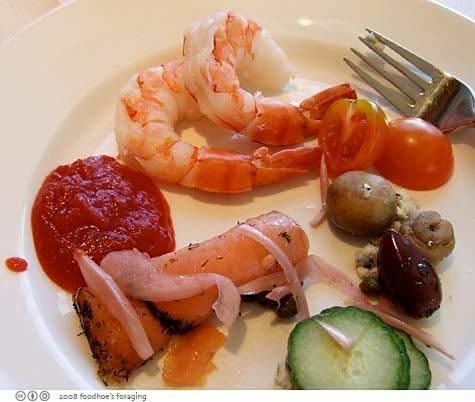 A smorgasbord to shoot photos, huh? The view looks great too. 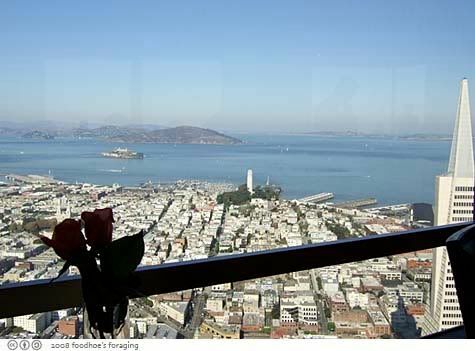 I wonder if they’ll let you sit there for hours just grazing and looking at the views? 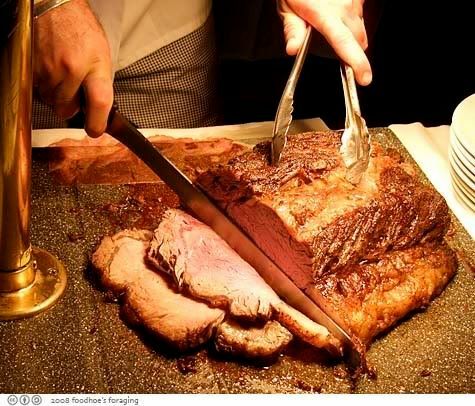 Even though the prime rib looks good, I’m wondering if they had any other interesting alternative entrees like chicken or fish? Wow. 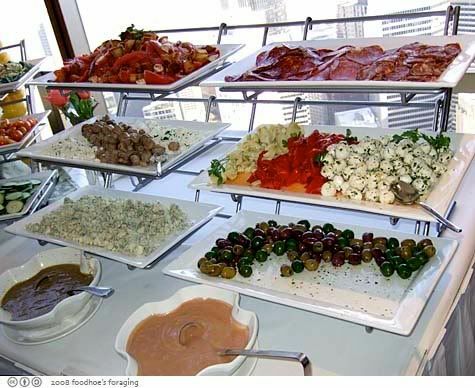 That’s a fantastic spread. What was the dim sum like? 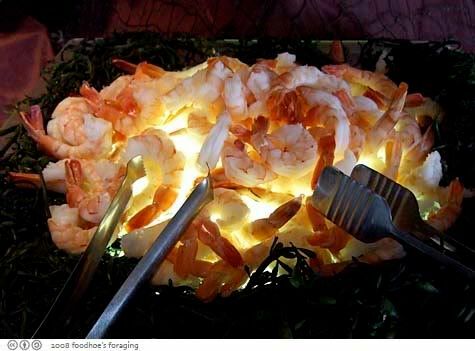 I’m usually leery of dim sum at buffets. Sushi too. All that sitting out can’t be good for them. 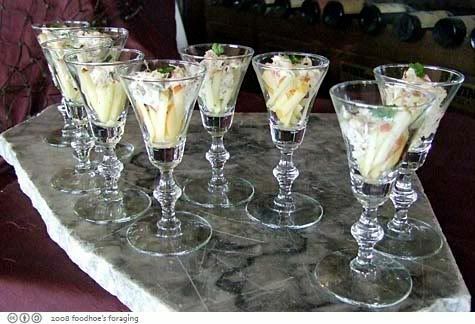 Gastronomer, I haven’t been to a really decadent one in a while and it was the best! 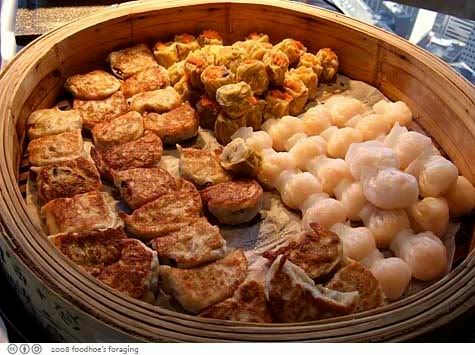 CP, the dimsum wasn’t as fresh as the stuff in the bamboo baskets at Koi Palace, but they were kept warm and covered. I agree with that sitting around stuff, but everything seemed freshly set out. Maybe we got there at the right time! Grace, yes it was a fine time indeed. 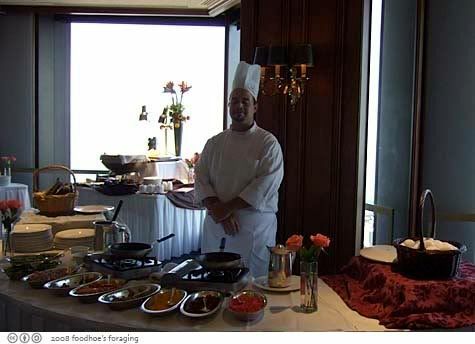 Wow, A great buffet brunch with a scenic view like that? it’s like in heaven.